Hear the upbeat drums and trumpet, as they announce the arrival of the luchadores! Wrestling is a big deal in Mexico and has grown and evolved to have its own distinct culture. Watch out as these masked fighters risk it all at the ring in hopes of taking home the belt and avoiding the terrible fate of being unmasked. And now, it is your turn to enter the ring and show the world what you are made of in this Microgaming release. 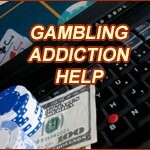 The slot is played on a 5x3 playing field with 25 fixed paylines. Bonuses include Super Wilds, Power-Up mode and free spins. The characters are played up for laughs, but there is no denying they will stick in your head even after you turn the game off, specifically because of how silly they look. The Super Wild animations look awesome, with the wrestlers busting out onto the reels, breaking Wild to trigger one of the features. The wrestlers have some great animations, as they laugh, flex or show off for the players when a winning combination occurs. 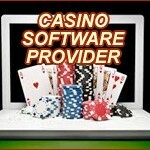 The user interface is the standard Microgaming design with colours slightly adjusted. If you turn on the Power Up mode, the music turns more upbeat and the reels become brighter making them look even better. Lucha Legends is played on a standard 5x3 playing field, which grants pays for collecting three or more identical symbols from left to right following one of the fixed 25 paylines. The title has two bonuses and one setting used to improve the first special feature. One is triggered by collecting Scatters, while the other can occur any time Wild appears on the reels. You can wager between $0.25 up to $75 per spin, which is a fantastic bet spread for both casual gamblers and high rollers alike. If you are trying to keep your bet low, keep in mind the Power-up mode forces you to double your wins to enable it. 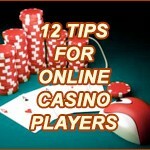 It has medium volatility, so you will encounter plenty of small, frequent pays on your way to win the bigger jackpots. The maximum win for Lucha Legends is 2,200x your total bet. The RTP for this Microgaming release is 96.38%, which is slightly above average compared to other slots. Symbols include playing card royals – J, Q, K and A, as well as a middle-aged referee, a round announcer and the four wrestlers. Special symbols include the golden wrestling belt as Scatter and the game’s logo as the Wild symbol. When Wild lands, there is a chance a wrestler will perform their signature move transforming it into Super Wild and making one of two different things happen. Either two adjacent positions also turn Wild or Super Wild is multiplied by 2x or 3x. If you activated Power-up mode, it will turn four adjacent positions Wild and a multiplier can go up to 5x. Three Scatters on the first, third and fifth reel reward 10 free spins. Additional extra turns can be won by collecting two or three Scatters while the special feature is already active. 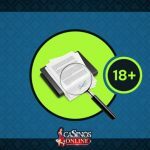 We really like Microgaming’s 2018 release. It has fantastic graphics, a fun gameplay loop and very lucrative special features. This is the sort of standard we expect from their titles.